Why ASP.NET Core is Emerging as the Preferred Choice for Enterprises? Developed by Microsoft and the community, ASP.NET Core is a free and open source web framework for building modern, high-performance, cloud-based, and Internet-connected applications. Despite being a new framework, built on a totally new web stack, it does have extensive compatibility with ASP.NET MVC. A modular framework, it runs on full .NET Framework, on Windows, and the cross-platform .NET Core. ASP.NET Core applications overcome the roadblocks or limitations of the previous versions of ASP.NET. This is mainly due to the fact ASP.Net Core supports side-by-side versioning in different applications, functioning on the same machine, targeting different versions of ASP.NET Core. Equipped with several features, ASP.NET Core allows ASP.Net web development companies to utilize and build enterprise-ready, secure applications with latest version of the platform. Build secure web apps and services, IoT apps, and mobile backends. Use development tools on Windows, macOS, and Linux. Building web UI and web APIs. Develop and function on Windows, macOS, and Linux. Integration in a seamless manner of modern, client-side frameworks and development workflows. Lightweight, high-end, and modular HTTP request pipeline. Host on Nginx, IIS, Apache, Docker, or host in your own process. Why Enterprises are Using ASP.NET Core? ASP.NET Core is cross-platform, and can run on Linux and MacOS as well as Windows. This opens up several new avenues for both development and deployment of apps built with ASP.NET Core. Docker containers, which quintessentially run on Linux today, can host ASP.NET Core applications, allowing them to take leverage benefits. Whether it is public cloud, private cloud, ASP.NET Core is fully optimized for the cloud because it is low-memory and high-throughput. The relatively small footprint of ASP.NET Core applications means you can host more on the same hardware, and you pay for less or few resources while using pay-as-you go cloud hosting services. Higher throughput means reaching out to more customers from the same hardware, reducing the need to invest in infrastructure costs. ASP.NET Core apps are made of many libraries through NuGet. This granularity of functionality helps to ensure apps only depend on and use functionality which is actually needed, reducing security vulnerability surface area. ASP.NET Core framework provides an in-built dependency injection, which eliminates the need to rely on third-party frameworks anymore. Dependency injection, a pattern assists developers in differentiating between sections of the apps. Prior to the release of ASP.NET Core, the only manner of gaining dependency injection was with frameworks such as Ninject and AutoFactor. This effectively means that developers are not just limited to web applications, and can leverage new libraries in more event-driven apps. ASP.NET Core also fully supports dependency injection, both at internal level and at the application level. Interfaces can have multiple implementations that fluctuate and change as needed. Dependency injection allows apps to loosely couple, making apps easier to extend, maintain, and test. One of the new elements of ASP.Net Core is Razor pages which makes coding page-focused scenarios easier and more productive. Razor Pages is designed to make common patterns utilized with web browsers easy to implement when developing an app. ASP.NET Core is an open-source, cross-platform framework for building modern, cloud-based web apps on Windows, macOS, or Linux is a revamp of ASP.NET 4.x. Millions of developers have extensively used (and continue to use) ASP.NET 4.x to create robust, secure and enterprise-grade web apps. ASP.NET Core is a revamp of ASP.NET 4.x, with architectural changes which results in a leaner as well as more modular framework. ASP.NET 4.x has evolved into a mature framework that provides the high-quality services needed to build enterprise-grade, server-based web apps on Windows. Recommended to create a Web UI as of ASP.NET Core 2.x. See also MVC, Web API, and SignalR. 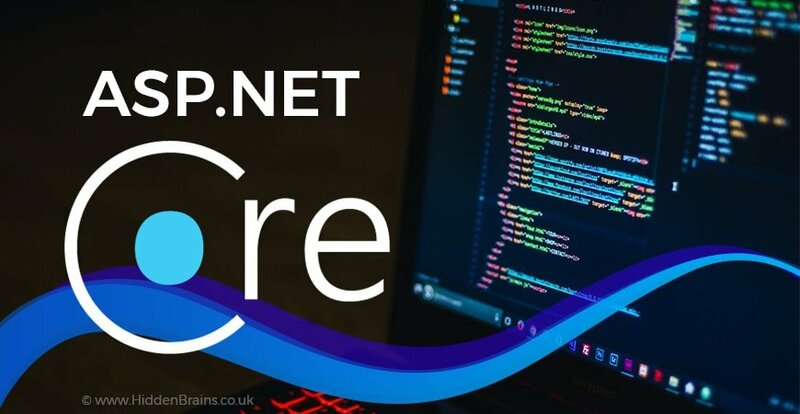 ASP.NET Core with its benefits such as modular design, scalability and performance improvements are certain to gain popularity with developers. It is important to hire web developer who can help you leverage ASP.NET Core, which is considered the step in right direction with Microsoft preparing its product lines with a futuristic approach. Hire dedicated web developer who can help you leverage ASP.NET Core.